Japanese hedge parsley is considered a winter annual (germinating in fall) or a biennial. The first year plants have finely divided fern-like leaves in a rosette near the ground. 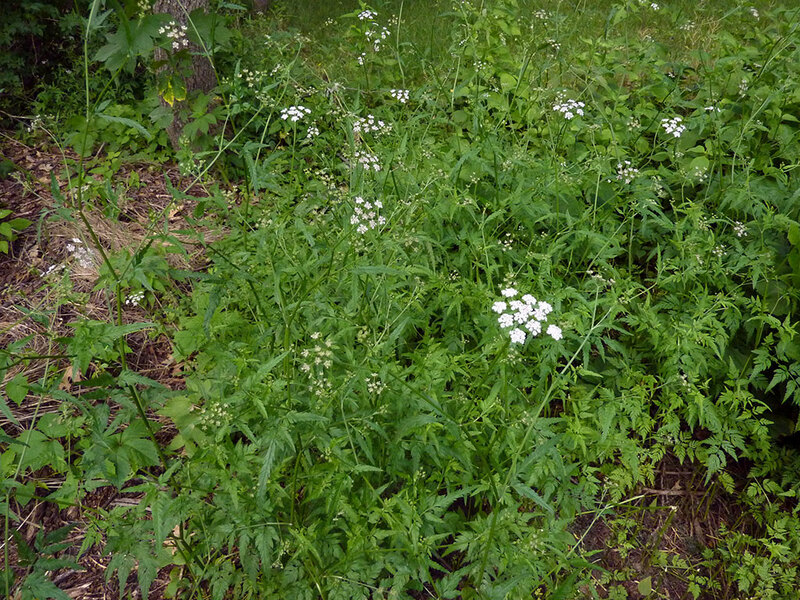 White umbel flowers develop into small seeds with burrs that catch on fur and clothing. Fall and winter is a good time to search for this plant since the rosettes that germinate in fall remain green and overwinter under the snow.